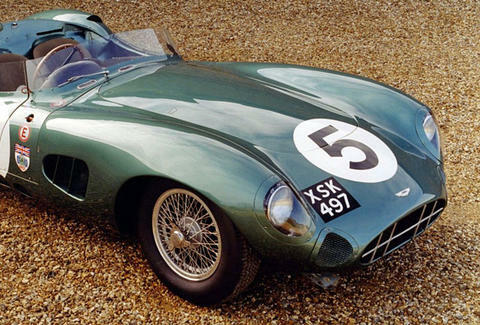 In 1959, the Aston Martin DBR1 won the 24hrs of Le Mans thanks to drivers like Carroll Shelby, who, thanks to a lifelong heart condition, actually drove with nitroglycerin tablets under his tongue. 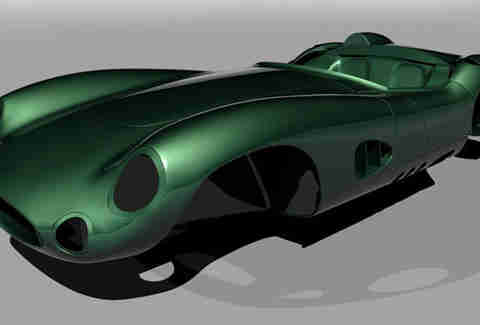 Today, they can go for upwards of $32 million... unless you go for the 1700lb, Miata-based, British-made MEV racing DBR1 Replicar, which can be built by Roswell (GA) based Exomotive starting at $32k. How it works: They're taking a basic Miata chassis & engine and adding enough supports to hold a CAD-designed, British Racing Green-painted fiberglass body. 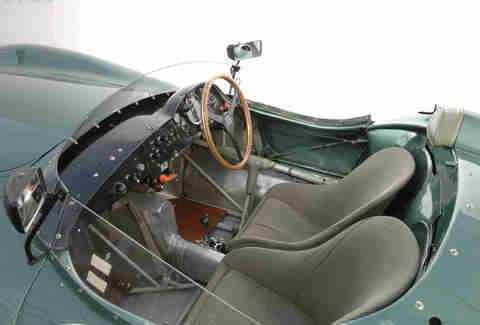 The kit can be upgraded with stopping and cornering goodies like big brakes and race suspension, and's finished off with authentic touches like front light housings and original rear lights made by Lucas, the British electronics company known with grudging fondness as The Prince of Darkness. The interior features an exposed round-tube chassis, aluminum panels to match the original pieces, and seats that're installed to fit your own measurements. Everything can finished off in either left- or right-hand drive, BYO nitro.